Gift-wrap will vary depending on the items. Please specify if you want items wrapped separately or together. 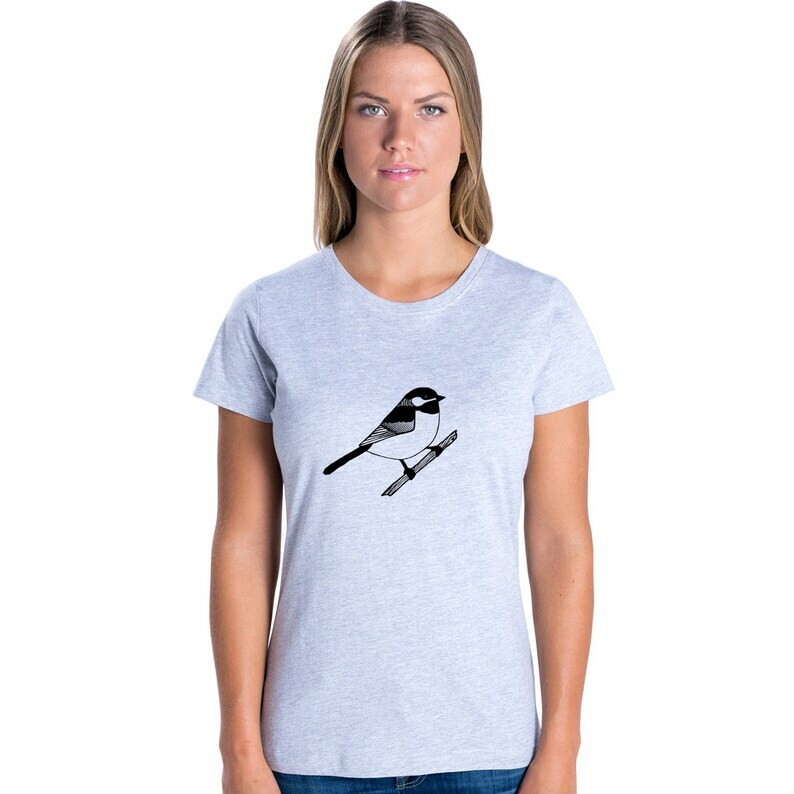 This soft ladies tshirt is screen printed with my chickadee design. All artwork is my own and screens are burned and printed by me. 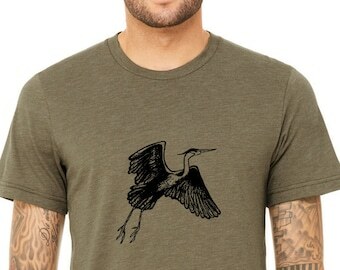 • This shirt is shown in the first photo in heather grey with black ink. The model in the main photo is wearing a small. • You may choose other shirt colors from the drop-down menu during checkout. Other ink colors are listed below. If you would like something different, please write it in the "message to seller" section during checkout. SIZING NOTE: Most people feel that this shirt runs true to size. The best way to get a good fit is to measure as instructed in the info-graphic or below. • Shirts run true to size. They have a missy fit. • shirts are hand screen-printed by me in my home shop. • Items ship from the USA. • Care Instructions: Machine wash cold. Do not bleach. Tumble dry low. • Don't see the size you need? I can almost certainly get it for you. Convo me! black, white, red, blue, yellow, green, orange, pearl, gunmetal, shimmer yellow, shimmer blue, shimmer magenta, silver, milk chocolate brown, very dark brown, hot pink(very light and transparent, only suggested on very light colors), and neon green (very light and transparent, only suggested on very light colors), Neon orange (very light and transparent, only suggested on very light colors) shimmer orange, shimmer green, turquoise, navy blue, ocher, copper. IF YOU HAVE AN INK COLOR PREFERENCE PLEASE WRITE IT IN THE MESSAGE TO SELLER. • double for the "chest measurement"
• receive an awesome shirt that fits the way you like!away! Love my new shirt, super soft. Perfect scrimmage tanks! And very fast turnaround on making them and shipping! Love them! Yes! I do offer wholesale. You may find me on the Etsy Wholesale site here: https://www.etsy.com/wholesale/vendor/1363601/linesheet If you are not on Etsy Wholesale, no problem, just contact me for details. • the chest measurement in this listing is taken flat. • receive an awesome shirt that fits the way you like!